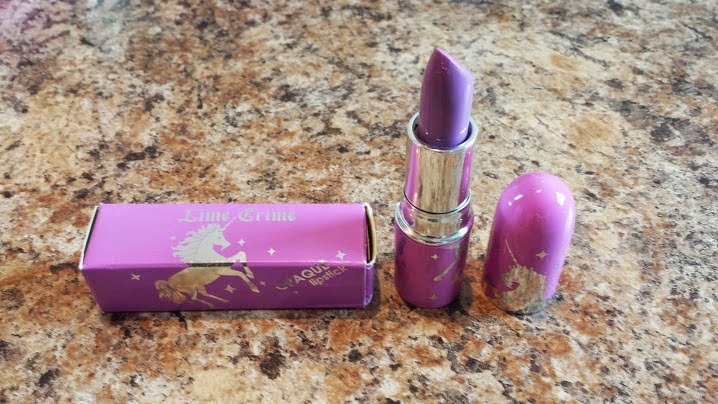 I was asked to review a product, a Lime Crime opaque lipstick in shade "Airborne Unicorn" which was sent to me through Obsessed Canada website. 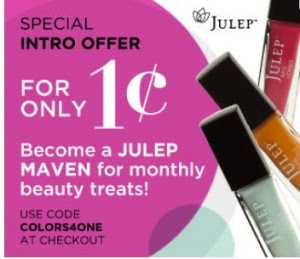 This is the new beauty website sister to our beloved NailPolishCanada which sells beauty products as well as nail polish and, like NPC, ships free with no minimum! Some basic information about Lime Crime to begin with. Above is a pic of their website, to give you an idea of their style. They love bright, vibrant colours and looks that are a little "out there". The website gives the impression of fun and letting loose, being unique and colourful. 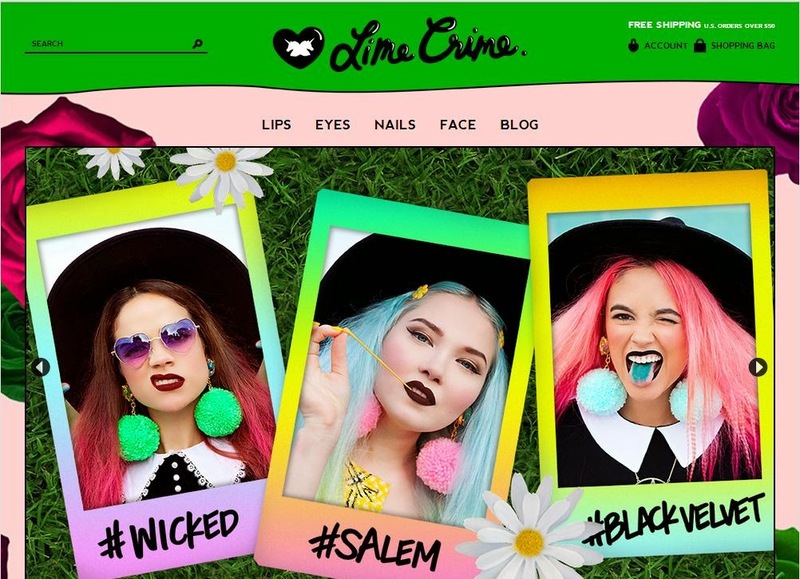 Lime Crime is a vegan company (by default cruelty-free) and have lip, eyes and nail products. I believe their most famous and popular items are their opaque lipsticks (like the one I'm trying out) and the velveteen lip products which are liquid but dry matte. 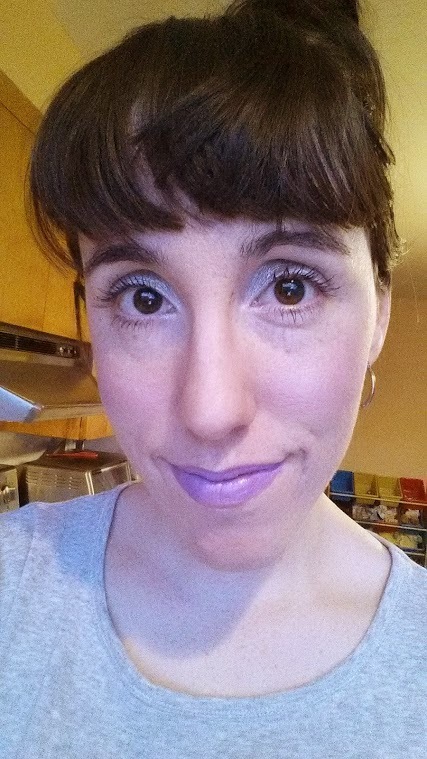 They advertise their products as high in pigmentation, smooth, colourful and I think they're going for UNIQUE. The price is mid range (18.99$ for the opaque lipstick on Obsessed Canada, ships free). I would classify high-end in the 25$+ range which would start at Urban Decay, NARS, all the way through to YSL, Givenchy, Dior, etc. so this to me is mid-range by my definition. I would say that the colours available for the lip products are quite vibrant, colourful and unique in that a lot of them simply wouldn't have an equivalent to be found in drug stores or even other similar-priced brands. 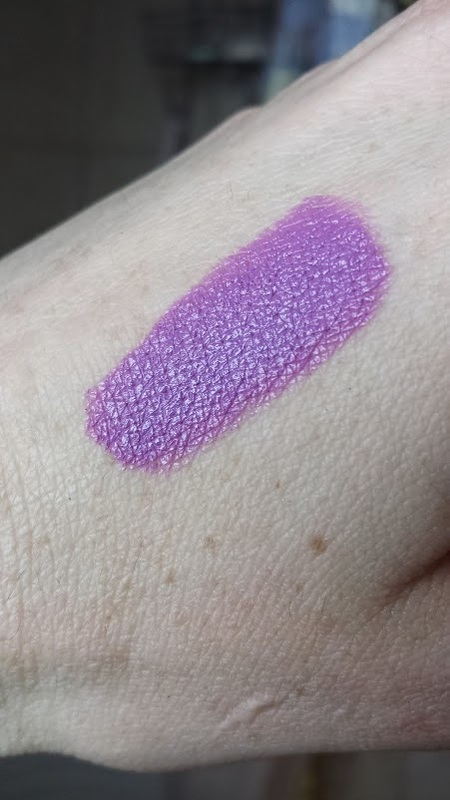 If you're looking for unique, pigmented and bright lip colours, LIME CRIME might be a good company to check out! If you're in Canada, CHECK HERE to shop through Obsessed Canada. The colour is so freakin' beautiful!!! Just so pretty and at the same time so unnatural as a lip colour - I love it! 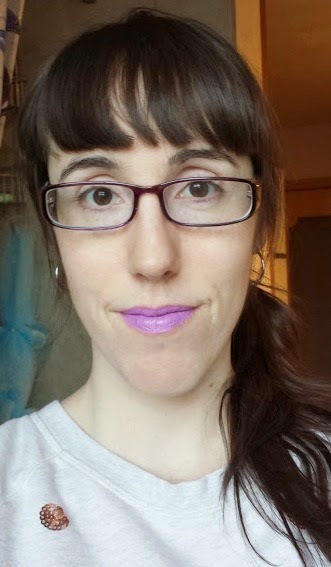 The lipstick is definitely opaque and applied smoothly. I have no issues with the quality, though I didn't wear it out and about nor did I test for longevity, etc. It leaves a very pink stain when removed (not too apparent on the lips but it was on my hand). The packaging is adorable - who doesn't love unicorns?! I found the tube a little shakey-cheap feeling though which doesn't match up with the price range in my opinion. To conclude, I'm happy to add this to my collection even though it won't get a whole lot of wear. The unique colour and cute packaging is a nice addition to my lippies. As always, a thorough and well written review. Such a cool color. I tried one out too and was surprised by how much I liked it. I bet this shade would look great with cat eyeliner!